Exhausting smoky air can wreak havoc on your utility bills! Instead, use our commercial air cleaners to purify your air and retain your valuable customers. These units can pay for themselves over time when compared to the high cost of exhausting. (Heat Loss Calculator, AC Loss Calculator) We offer a variety of smoke filtration solutions for your needs, manufactured with high grade componentry such as steel and ceramic instead of plastic. Explore our air purifier options for e-cig and vaping atmospheres. Our commercial electronic units feature the same washable cells utilized in our industrial MistBuster line that remove the excessively filthy contaminant produced in welding and CNC machining processes. 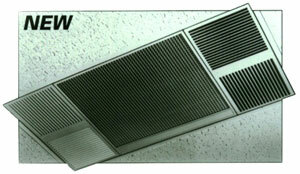 Commercial media air cleaner, designed for false ceiling installation. Ideal for heavy odor applications including tobacco smoke and e-cigarette. 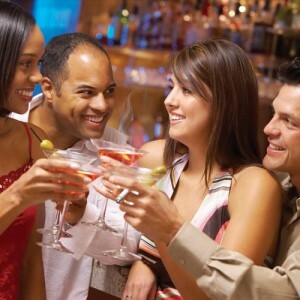 The SmokeMaster® line of commercial air cleaners are self-contained electronic air cleaners, designed for use in casinos, bars, clubs, restaurants, cigar shops, bingo halls and any other space where smoke is a concern. Our durable and washable aluminum cells eliminate the need for costly and wasteful filter replacements while providing many years of service with up to 99.8% efficiency. SmokeMaster® models feature our unique four-way Coanda airflow method of air recirculation. With the Coanda air pattern, contaminated air is drawn into the SmokeMaster® from the bottom, and clean air is recirculated in four directions, providing thorough and immediate air cleaning results. If you’re looking for an air purifier for smoke in your environment, the Smokemaster line is a smart choice. The EverClear® CM-11 is a self-contained HEPA-type air cleaner designed to be flush mounted, it fits inconspicuously into a drop ceiling replacing a 2′ x 4′ ceiling tile. This comprehensive, state of the art filtration system removes smoke, pollen, dust, mold spores, and other irritants using high efficiency disposable filters. Activated carbon modules with up to 44 lbs. of activated carbon are available with this air cleaner for powerful odor and vapor contaminant removal. The EverClear® CM-11 also features our unique four-way Coanda effect airflow method of air recirculation. The CM-11 is controlled by your choice of a unit mounted or wall mounted three speed switch. EverClear® CM-11 is perfect for any number of commercial environments where low maintenance is preferred, odor control is a concern and clean air is desired. The Smokemaster® C-12 is a self-contained electronic air cleaner designed for surface mounting to solid ceilings (Sheetrock, plaster, concrete, etc.,) The C-12 filters smoke, pollen, dust, mold spores, and other irritants with up to 99.8% efficiency without the need for costly and wasteful replacement filters. Designed with the user in mind, the 3 speed fan quietly and efficiently cleans an area using the Coanda airflow pattern. The Smokemaster® C-12 is built with high grade componentry such as steel and ceramic instead of plastic. The C-12 features the same washable cells utilized in our industrial MistBuster line, cells that remove the excessively filthy contaminant produced in welding and CNC machining processes. The Smokemaster® X-11Q is a self-contained electronic air cleaner designed to be flush mounted, it fits inconspicuously into a drop ceiling replacing a 2′ x 4′ ceiling tile. The X-11Q filters smoke, pollen, dust, mold spores, and other irritants with up to 99.8% efficiency without the need for costly and wasteful replacement filters. Designed with the user in mind, the 3 speed fan quietly and efficiently cleans an area using the Coanda airflow pattern. The Smokemaster® X-11Q is built with high grade componentry such as steel and ceramic instead of plastic. The X-11Q features the same washable cells utilized in our industrial MistBuster line, cells that remove the excessively filthy contaminant produced in welding and CNC machining processes. The MiracleAir® CM-12 is a self-contained HEPA-type air cleaner designed for surface mounting to solid ceilings (Sheetrock, plaster, concrete Etc.). This comprehensive, state of the art filtration system removes smoke, pollen, dust, mold spores, and other irritants using high efficiency disposable filters. Activated carbon modules with up to 22 lbs. 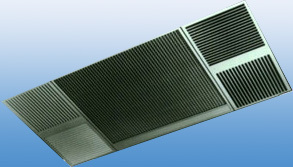 of activated carbon are available with this air cleaner for powerful odor and vapor contaminant removal. The MiracleAir® also features our unique four-way Coanda effect airflow method of air recirculation. The CM-12 is controlled by your choice of a unit mounted or wall mounted three speed switch. MiracleAir® CM-12 is perfect for any number of commercial environments where low maintenance is preferred, odor control is a concern and clean air is desired. The Smokemaster® X-400 is a compact self-contained electronic air cleaner designed to be flush mounted, it fits inconspicuously into a drop ceiling replacing a 2′ x 2′ ceiling tile. The X-400 filters smoke, pollen, dust, mold spores, and other irritants with up to 99.8% efficiency without the need for costly and wasteful replacement filters. Designed with the user in mind, the 3 speed fan quietly and efficiently cleans an area using the Coanda airflow pattern. The Smokemaster® X-400 is built with high grade componentry such as steel and ceramic instead of plastic. The X-400 features the same washable cells utilized in our industrial MistBuster line, cells that remove the excessively filthy contaminant produced in welding and CNC machining processes. This is the perfect air purifier for the smoke, dust and irritants in your home or office space. We also carry replacement parts for all our air cleaners and air filtration systems. A list of parts for our tobacco smoke air cleaners can be found here.